I’ve been in my new house a month now and finally feeling somewhat settled. I still have lots of decorating and projects, but at least there aren’t any boxes left (aside from in the unfinished basement). 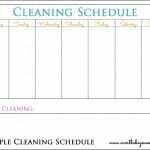 This last week I was feeling overwhelmed trying to keep up on the daily chores and pickup, so I decided it was time for me to figure out my new cleaning schedule for this house. 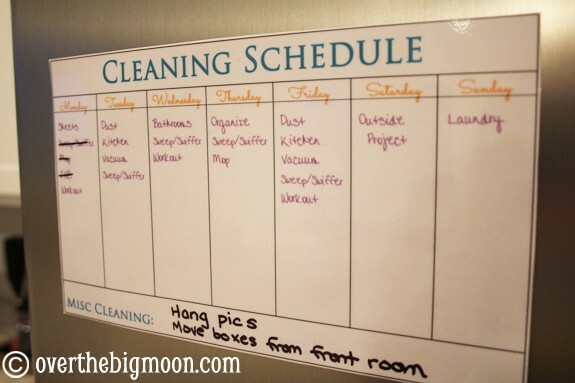 Back in 2011 Lisa shared a Mommy Chore Chart that I started using almost immediately. I loved the simplicity of it and how it looked on my fridge. 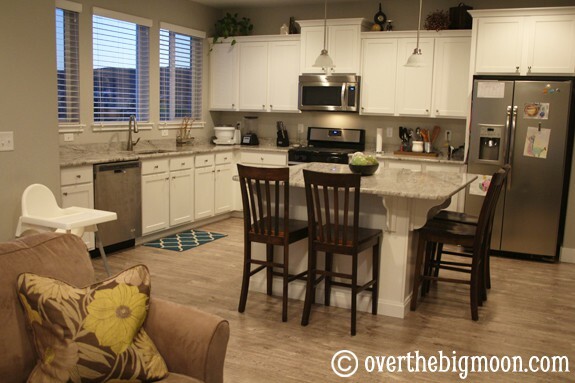 It was easy to reference being that it was in the heart of my home – the kitchen. I wanted to add a little color to it, so I put together this little version of it! It’s really similar, just has a title and the added color. For mine – I took it into Photoshop and typed my chores in it. Then I printed it on cardstock and laminated it using my Scotch Laminator! If you don’t want to type your chores on, you can also just write the chores in. 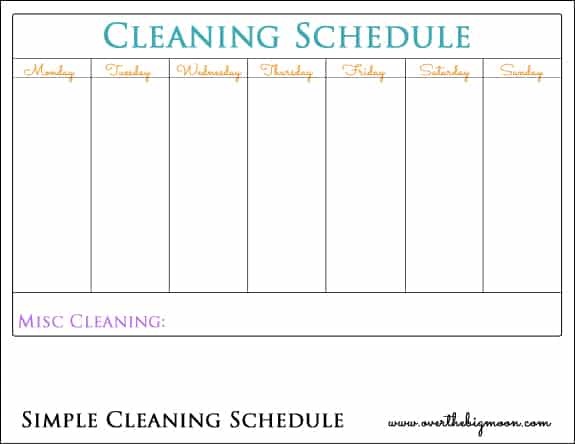 Or even laminate it and then use a dry erase marker to write the chores on each week. After it was laminated I put a couple magnet strips on the back, so it easily can be removed from the fridge when needed. Right before the move – our old vacuum died on us. 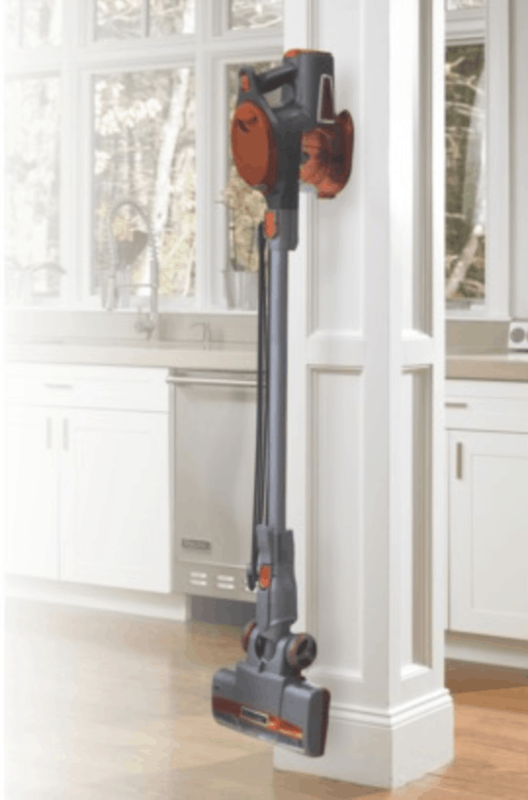 I have always loved Shark Vacuums – they are so easy to handle and they are so light weight! 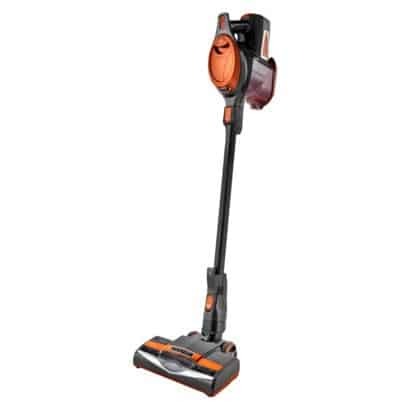 I have loved my new vacuum – the Shark Rocket. It is (like all Shark products) very light weight and SO easy to handle. But, my most favorite feature is that it has the ability to be handheld! 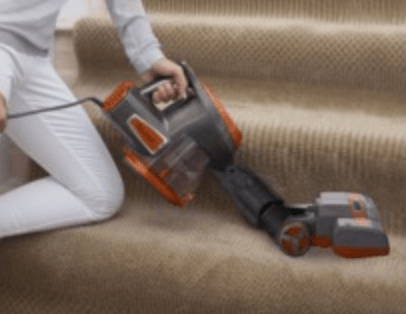 YOU GUYS – I no longer hate vacuuming my stairs! I literally would skip them sometimes in my old house… that’s how much I hated them! haha! I also love how it tucks under my couches so well. Our main level has all wood floors, so there gets to be lots of dust, crumbs, etc that collect right around the edge of our couches. I love that I am able to just vacuum under the edges. I also love the under appliance wand that is available! How freaking rad is that? 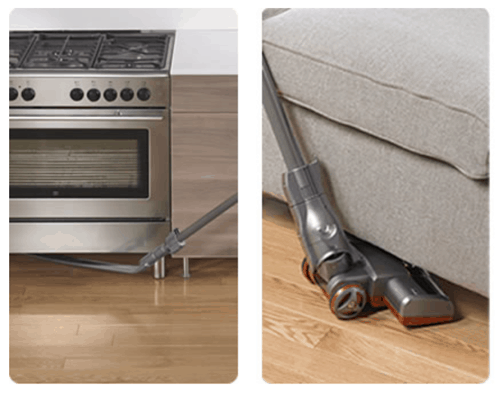 We all know that we should be cleaning under our appliances like 4 times as much as we are. Also, because it’s so small you can store it almost anywhere. I have mine storing in an oversized utility closet. In my old house I stuffed it into the front coat closet. Which mean every time I would get a coat in and out I had to make sure not to knock the vacuum over. So, I have really enjoyed the storage option. If you have a lot of carpet in your house, I would suggest upgrading to the Shark Rocket Pro. It has a larger tank, but still with all the premium tools! You really can’t go wrong with any Shark products though! Shark Vacuum provided me with compensation for this post. However, as always, all thoughts and opinions expressed are my own. I’ve always wanted to get a Shark!! I’ve heard great things about Shark vaccumes…I’ll have to try them. And thanks for the awesome printable–this will totally help me get organized before the fall! Wow! What a cool vacuum, Pam! I love your new house!!! We have the shark rocket as well. We love it! Ooh! That sounds great for stairs! I might have to try a shark for my next vacuum!